Without dunes beaches will disappear. It is as simple as that. In Spain the sand dunes have been mistreated during a long time, nevertheless now the Spanish authorities have realized of their importance and are trying to do something to improve them. The dunes are vital for beaches to remain, but they have been abused and mistreated in the past. Therefore, many beaches have disappeared or have had to be kept artificially by periodically importing sand, with the consequent economic expenditure. In this article I have analysed what experts are saying that it should be done to protect coastal sand dunes, and what is being done to defend and recover them. A sandy beach could be the work carried out by natural elements during thousands of years or perhaps even longer but may disappear in question of a few winters. The dunes of the Spanish beaches are in "critical" condition, say the experts from the Autonomous University from Madrid. Dunes have been considered just "a lot of sand, an abandoned space, where some people have wrongly planted pine trees, have been used as part of irresponsible property development or its sand have even been taken away to be sold used as construction material. It is important to understand that if there are no sand dunes there are no beaches. They are a reserve for the natural regeneration of the sand beaches. The prevailing winds in coastal areas have a natural circuit movement of sand, inland in some cases and in others towards the beach. The landscape elements are of great ecological value. It establishes a natural transition between the coastline and inland from the coast. In many areas of the Mediterranean and Cantabrian dune ridges establish the transition between the sea and coastal wetland areas. They have a wealth of wildlife and unique vegetation of these transit areas between salt water and semisweet or sweet lakes. It singularize the shores of the Spanish coast line, where they grow endemic species protected by the Habitats Directive of the European Union. A long, long time to be created…. Therefore, if the sand dunes are altered or deleted, beaches lose their natural regimen and disappear, generally it happens in a progressive processes of loss of sand which if it is to be maintained require to be offset by the contributions of the hand of man. In other words, the maintenance of these artificial beaches will have an economic cost that have to be paid by the tax payer, if we do not want to lose them. How are the dunes in Spain? The dunes in Spain are in "critical" condition, according to the major experts, many beaches have disappeared. We have cases in Valencia, Barcelona, Alicante and Castellón: Where jetties were built and were not taken into account the dynamics of the dunes, and found that in a short time entire beaches just disappeared. Many sand beaches have been devastated by the first urban development on the coast around the years nineteen sixties and seventies. At present, despite having lost many kilometres of dunes, many have been saved by various regulations, such as the Coastal Act of 1988 or various regional laws. However, there is a state recovery plan for dunes spaces along the Spanish coast line and that there are different situations depending the autonomous communities: Some have developed recovery plans, conservation or adaptation for sustainable tourism use, as in the Basque Country, but in others nothing has been done. We have plans also designed by some regional communities for conservation and recovery, but according to experts they are not valid, because the beaches are still mismanaged. How do we save the sand dunes? The consulted experts offer several ideas to restore and protect the dunes. It has been suggested to follow the French example, so that institutions acquire coastal areas in private hands to form a public bank of coastal area, as it makes no sense to protect a line of dunes and a few meters inland, tourist developments are allowed which will destroy their own natural dynamics. 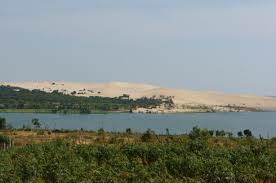 In the Spanish case, professors from the Autonomous University from Madrid propose that the central and regional governments reach agreements for comprehensive protection of both the state public domain, as in the area surrounding the dune ridges. We will continue in our next article discussing various strategies proposed by the experts on how to save the Spanish dunes.